Pressed on White Colored Double Vinyl. 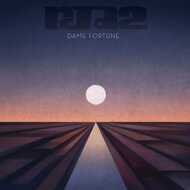 A new album by RJD2! Featuring: Jordan Brown, Son Little, Phonte Coleman, Josh Krajcik & Blueprint!